The Occupational Therapy Program at Tuskegee University was established in 1978 with the first class graduating in 1980. 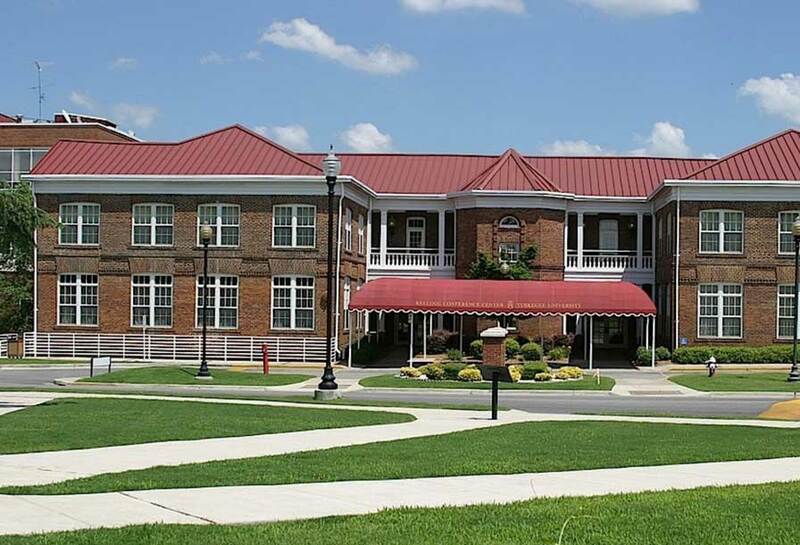 Tuskegee University houses the second oldest professional program in occupational therapy in the State of Alabama and the second oldest program at a historically black college or university. The program received initial accreditation on January 11, 1980 and has maintained continuous accreditation, first with the Committee on Allied Health Education and Accreditation of the American Medical Association (CAHEA) and beginning in 1998 with the Accreditation Council for Occupational Therapy Education (ACOTE). Occupational Therapy is a health/rehabilitation profession whose practitioners work in a wide variety of settings: including acute care hospitals, rehabilitation centers, psychiatric hospitals, community mental health facilities, schools and nursing homes, to a name a few. This profession contributes to the physical and emotional independence; and wellbeing of an individual or group of people through the selections of occupations or activities from everyday life that have meaning and purpose to the individual. This enables the individual to gain, regain, enhance or prevent loss of habits, skills, tasks, routines or roles that the individual has performed in the past, or is learning to perform in order to participate fully as a contributing member of his or her community or personal environment. Occupational therapists provide services and programs for people of all ages who have physical, emotional, social, or developmental problems. Occupational therapy involves finding the right occupations or activities, designing the right environment, or creating the right opportunities for experiences that lead towards health, independence of function and the prevention of dysfunction. It is the vision of the Occupational Therapy Program that graduates of Tuskegee University will enhance the quality of life, by improving the occupational performance status of individuals within our society. Our graduates will provide quality services for people from diverse communities and enable them to achieve life satisfaction through meaningful occupations. The mission of the Occupational Therapy Program is to provide an academic environment for individuals who are committed to the enrichment of people’s lives through the tenets of occupational therapy. The program will provide educational experiences that will nurture creativity, intellectual curiosity, and promote the spirit of active, independent, and self-directed learning through dynamic interactions in the classroom and community service. 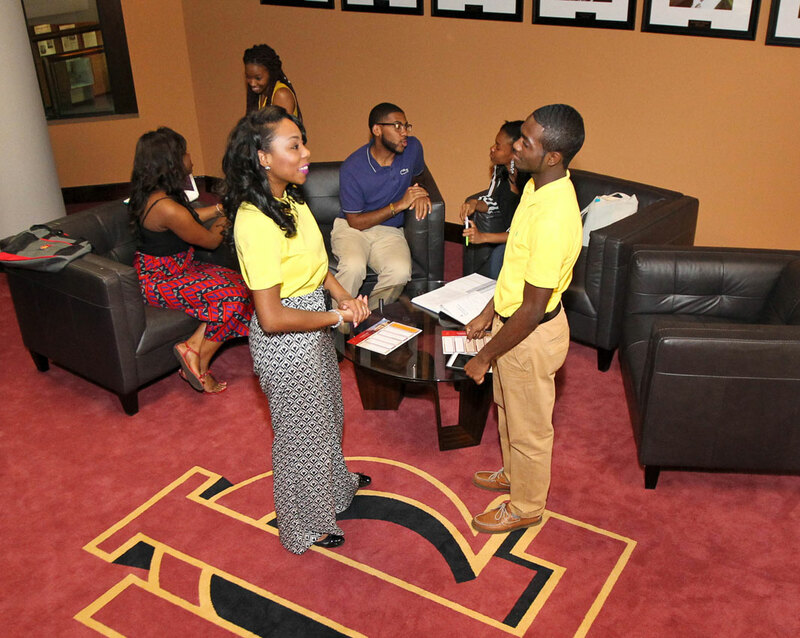 The program uses the unique historical context of Tuskegee University to develop a deep sense of ethical conduct and community service in a rural community as a role model for students to become productive leaders in national and global communities. Using the foundation of occupational performance and productive behaviors across the lifespan, faculty members will assist students in learning the science and art of balancing technical skills and theory-based knowledge with all individuals while being respectful of their unique socio-cultural background. Our philosophy is based on the premise that humans are complex, active, spiritual beings who use occupations to evolve, change and adapt to a constantly changing internal and external environment. Each person is viewed as having basic worth and dignity and the right to participate in meaningful occupation. As humans progress developmentally, their priorities in life will change as well as their occupational behavior. In order to enhance, sustain or improve their quality of life, humans will change their patterns of performance. We base the education of each student on the philosophy that occupation is central and provides a purpose and meaning to life. Biological, social, psychological, virtual and other environmental factors may disrupt the normal process of development at any time during the life cycle. Adaptation to change is facilitated by using meaningful occupation to facilitate growth, support survival, self-actualization, occupational balance and quality of living. We as occupational therapy educators believe that the use of occupations is powerful and is needed to assist the client in maximizing their adaptation to change within a personal and socially relevant context. The occupational therapy profession is built on the core principles of occupation. Because these core principles are constantly changing and evolving as a consequence of new knowledge and emerging technologies, the education of future occupational therapists dictate that we prepare students to be life-long learners who utilize clinical reasoning based on evidence, active learning, critical inquiry, collaboration with others and personal self-reflection. The Occupational Therapy Admissions Committee selects students for admission after they have met the general Tuskegee University requirements for admission to the Graduate Program. 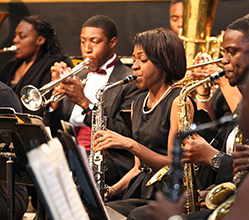 Tuskegee University offers a 3+2 program. For students beginning as freshmen, 3 years of undergraduate course work is required and 2 years of graduate work. Prior to the end of their third year, students must make application to the graduate phase of the program. Admission is not automatic. Applicants may start as a freshman or sophomore at Tuskegee University or come as a transfer student with a maximum of 80 hours of allowable, undergraduate transfer credit from an accredited college or university. Students transferring to the program with a Bachelor’s degree will be exempt from the university’s orientation, physical education, and English Proficiency Exam requirements. Successfully complete prerequisite courses with a cumulative grade point average of 3.0 or higher on a 4.0 scale (a “B “or better in pre-professional courses). Submit an official transcript from all colleges and universities attended. Transcripts should be sent to the above address. Each transcript should bear the signature of the registrar, the seal of the granting institution, the years of attendance, courses taken, grades received, and the degree, diploma, or certificate conferred (if applicable). These transfer credits cannot exceed 80 credit hours. Occupational therapy professional courses taken at other institutions are not transferable. Courses with a grade lower than “C” and pass/fail courses are also not transferable. Be eligible to re-enter the last institution attended. 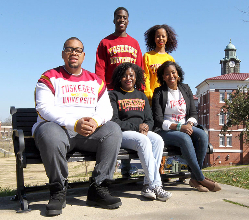 Meet Tuskegee University’s general education requirements for graduation including occupational therapy introductory courses offered in the third (3rd) year of the preprofessional program. Complete all other application procedures as required below. A cumulative grade point average of 3.0 on all course work attempted is a pre-requisite for admission to the 4th year or graduate phase. Students with a cumulative 2.7 grade average may be admitted as a conditional graduate student. If a student is accepted on a conditional basis, a minimum of nine hours of graduate course work must be completed during the first term of the graduate program with a minimum average of 3.0 for admission to full graduate status. An essay (2-3 paragraphs) detailing the reasons the applicant desires to become an occupational therapist (i.e. your philosophy, life goals, knowledge of the field, etc.). An autobiographical sketch of approximately 250 words( describe birth history, early life, family members, schools attended, family life and other events that shaped you as a person). Documentation of a minimum of 40 hours of first hand observation or work experience related to the practice of occupational therapy. This experience must be substantiated in writing by a registered/licensed occupational therapist. Three recommendations from persons acquainted with the applicant’s ability to be successful in a graduate program. One recommendation must be completed by a community leader and two from members of the academic community. This information should be submitted on the required forms located in the admissions package. A personal interview with the Occupational Therapy Admissions Committee and a minimum score of 70% on the interview (average of at least two evaluators). Applicants must interview on site in the department’s designated areas unless prior approval has been obtained for another type or location of interview. Submission of scores on the Graduate Record Examination (GRE) from the aptitude portions of the test (verbal and quantitative) of 156 and above is required prior to admission. Applicants doing pre-professional work at Tuskegee University will be required to report GRE scores during the third year of course work and prior to applying to the professional (or graduate) phase. Students transferring into the graduate phase of the program should submit GRE scores (not older than 5 years) as a part of their application materials. Preference for admission will be given to applicants who have completed all prerequisite courses by the end of the summer session prior to their admission to the graduate program. The graduate program begins only in the fall semester of every year. A criminal background check (CBC) is required for all applicants. A CBC must be completed before admission to the graduate program and prior to fieldwork placements. Applicants will be notified of the required information and fees associated with this service. Applications for the graduate program should be submitted by January 15 of the year in which you plan to enter the program. Additional standardized tests may be administered to all applicants as a part of the admissions process. After applying to the occupational therapy program the student will be notified of their acceptance status. If the student is not presently enrolled at Tuskegee University, he or she will be asked to submit a non-refundable application fee to the university. The Occupational Therapy Admissions Committee will consider several factors in making its decision for admission of a student. Criteria such as cumulative grade point average, prior experiences, recommendations, personal interviews, and GRE scores will be considered as part of the Committee’s decision to accept a student for the graduate program of study. Residence and Credit Hour Requirements. The occupational therapy graduate program requires a student to be in residence at least two academic years as a regular graduate student and the satisfactory completion of 68 hours of graduate courses for credit to complete requirements for a professional master’s degree in occupational therapy. Satisfy all requirements for matriculation as a graduate student. A complete list of all graduate courses (with grades) completed in residence at Tuskegee University. A copy of the official transcript. A list of courses that satisfies the course requirements for the degree. Approval by the major professor of courses selected, and place of research project. Present scores on the Aptitude Test of the Graduate Record Examination. Satisfy any additional requirements which may be specified by the college, department or both. Obtain approval of admission to candidacy by the College Dean and the Dean of Graduate Programs. All applications for candidacy should follow the standard procedures as described in the Tuskegee University Graduate Handbook for Academic Regulations and Procedures except the thesis requirement. Non-Thesis-Comprehensive Examination for the Master of Science Degree. This program offers a non-thesis Master’s degree. However, each candidate for the degree in occupational therapy must complete a detailed research project and pass a computerized, comprehensive examination in occupational therapy In addition, an oral examination will be required by the Comprehensive Examination Committee. Students will be required to pass with a minimum score of 75% on the comprehensive examination in order to be eligible for graduation and Level II fieldwork. After graduation, the occupational therapy major is required to complete six (6) months of full-time fieldwork in occupational therapy within 24 months of completion of courses, before they are eligible to sit for the National Board for Certification in Occupational Therapy (NBCOT) examination. The student is responsible for providing his/her traveling and living expenses for fieldwork. Graduates must receive a passing score on the “Fieldwork Performance Evaluation” for Level II fieldwork in order to receive approval from the Program Director to take the NBCOT certification examination. A felony conviction may affect a graduate’s ability to sit for the certification exam or attain state licensure. Fees for occupational therapy laboratory courses will vary and are charged per course at registration. Other professional program fees, in addition to tuition and living expenses, include: books, clinical uniforms, patches and name tags, transportation to laboratory and pre-clinical sites, transportation to level I fieldwork sites, room and board for level I fieldwork, transportation to level II fieldwork sites, room and board for level II fieldwork, a criminal background check, health and safety requirements [CPR , medical exam, TB screening], and professional fees. All fees are subject to change without notice due to current price and market fluctuations. No grade below “C” will be accepted for graduate credit. However, grades on all courses carrying graduate credit will be used in determining the overall grade point average. (Please note that this includes PSYC 306). A graduate student (4th and 5th years) must maintain a “B” average (3.0) in all course work included in the program of study outlined for the degree, with no more than six semester hours of “C” grades. Undergraduates (1st, 2nd and 3rd year students) must complete prerequisite courses with a grade of “C” or higher. * Graduate retention policies are regulated by Tuskegee University. See the Tuskegee University Graduate Handbook (October 2017) for reference and further details. Grades of “D” are not acceptable. If a student makes a “D” in any course work in the program of study, then the student’s graduate status is forfeited. When a student’s record falls below 3.0, probation becomes automatic. Notification by the Registrar’s office to the Dean of Graduate Programs will designate the student as probationary and the College Dean will be informed immediately. The College Dean will then inform the student, the department chairperson, and the student’s advisor. The probationary student will have until the end of the next session in which they are enrolled, to improve the cumulative grade point average to 3.0 or above. If the cumulative grade point average does not equal or exceed 3.0 at the end of this session, the student’s graduate status will be forfeited and the student will no longer be permitted to pursue a graduate degree at Tuskegee University. A student whose cumulative grade point average falls below 3.0 after a previous probationary period shall forfeit graduate status, and will be dismissed from the program. The dismissed student will be allowed to withdraw from the current session in which he or she is enrolled. Students, who have been dismissed from the Graduate program, may enroll as a nondegree student. However, credits earned in this category may not be subsequently applied toward a degree at Tuskegee University. In addition, the student will not be considered for readmission to any other Graduate Program at Tuskegee University. Student Ethical Standards as printed in the Occupational Therapy Graduate Handbook are binding in academic as well as clinical settings. Students must adhere to all of these standards. These standards are guidelines for professional and ethical behavior expected of all students enrolled in occupational therapy courses. Students in violation of any of the ethical standards may be dismissed from the program. A copy of these standards will be made available to all students enrolled in the occupational therapy program and will be found in the Occupational Therapy Graduate Handbook. After successful completion of (6) six months of full time fieldwork experience ( field experiences must be completed within 24 months of completion of courses in an occupational therapy program and passing the NBCOT exam, the individual will be an Occupational Therapist, Registered (OTR). Most states require licensure in order to practice; however, state licenses are usually based on the results of the NBCOT Certification Examination. A felony conviction may affect a graduate’s ability to sit for the certification exam or attain state licensure. *Transfer students with Bachelors or higher degree are exempt from these courses. -No grade below “C” will be accepted for a graduate credit. Overall CGPA of 3.0 on a 4.0 scale. The GRE must be taken prior to or during the 3rd year. Completion of the indicated courses with a grade of “C” or higher is a prerequisite for admission to the graduate phase curriculum. “D” grades are unacceptable. Overall CGPA must be 3.0 for eligibility for the graduate phase. This curriculum is subject to revision pending approval by Tuskegee University’s administration, and the Provost for Academic Affairs..
No grade below “C” will be accepted for graduate credit. A graduate student must maintain a “B” (3.0) average in all work included in the program of study as outlined for the degree. No more than 6 semester hours of “C” grades are allowed. Two (3 months) fieldwork rotations are required after didactics requirements have been met. Students must enroll for FWII (OCTH 0652 & OCTH 0653 ) and schedule rotations within 24 months after course(didactic) completion. Admission to the graduate program does not qualify a student for the degree. The request for admission to candidacy must be filed by the student after the completion of 36 graduate semester credit hours and in accordance with the dates published in the University Calendar. Refer to Tuskegee University’s Graduate Programs Bulletin. This is a non-thesis Master’s, but students must score a 450 (75%) on the NBCOT Practice Exam, and complete a research project in occupational therapy and an oral presentation as approved by the department. *This curriculum is subject to revision pending approval by Tuskegee University’s administration, and the Provost for Academic Affairs.